These unique coffee mugs make fantastic gifts for collectors and enthusiasts. 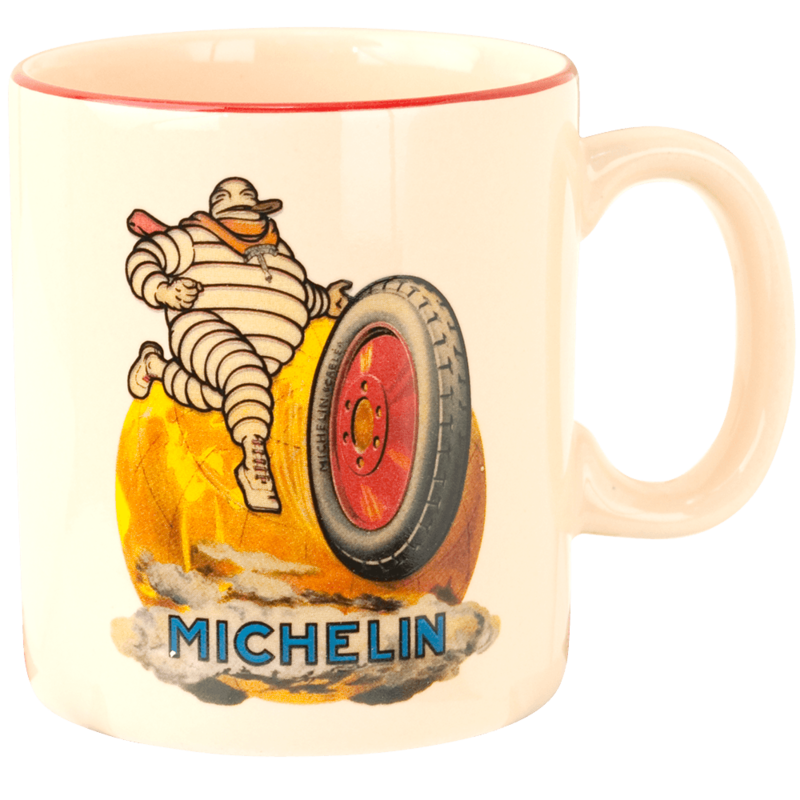 The timeless “Globetrotting Bibendum” original artwork design if featured boldly on the side of the mug. This Michelin Mug has a nice vintage look with original Michelin artwork portraying Bibendum rolling a tire across the world. Size is 3.6"" x 3.1""